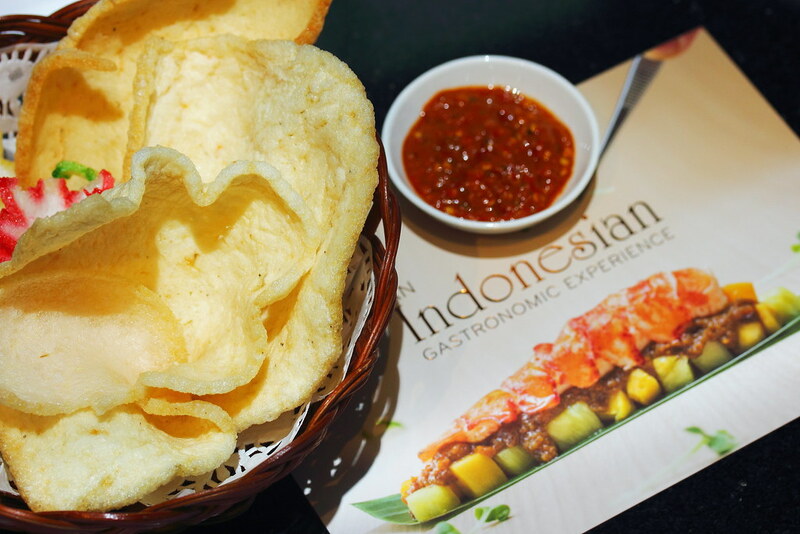 For a limited period from 15 to 21 August 2016, The Dining Room at Sheraton Tower Singapore will be collaborating with Guest Chef John Sawarto, bringing the flavours of Indonesia to the little red dot. Chef John Sawarto will be presenting a menu of contemporary Indonesia dishes harmonized with refined French techniques to commemorate Indonesia's Independence Day. Our first dish of the night started with the Grlled Lobster Gado Gado. 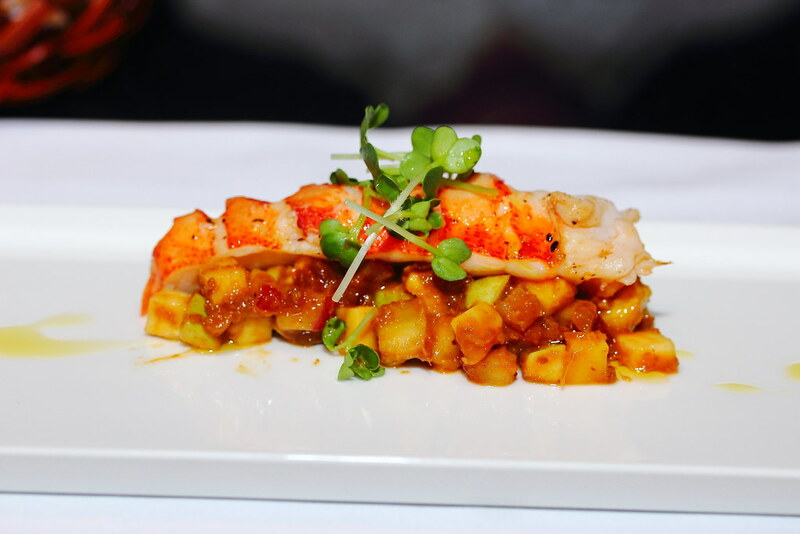 This is an interesting pairing of grilled lobster with tropical fruit, salsa, kaffir & kencur infused peanut dressing, microgreens and kalamansi vinaigrette. I enjoyed the interaction of the zest and sweetness, working in harmony with the lobster. A good first course to whet up the appetite. Moving to the next course, we had the Pan Seared Foie Gras. 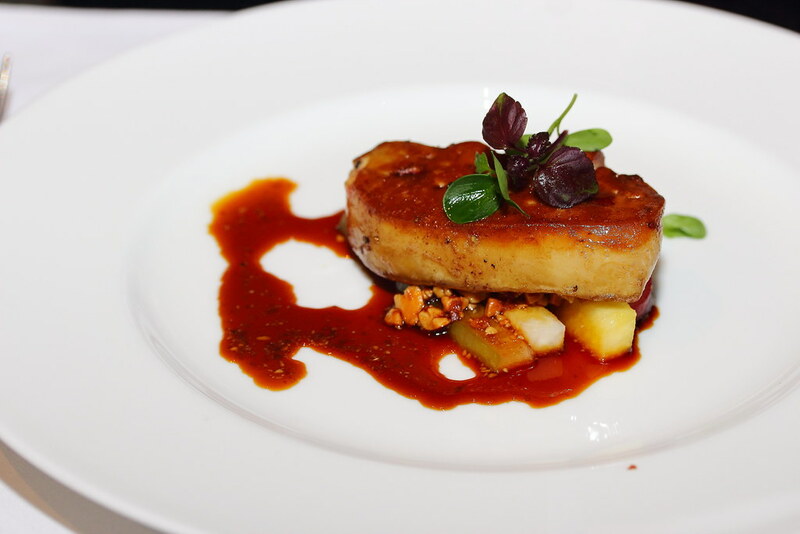 The foie gras is dressed in a rojak sauce and paired with apple & starfruit slaw. The used of an Asian sauce to pair with a French delicacy may seems weird but it works for me, lending a balance to the creaminess. 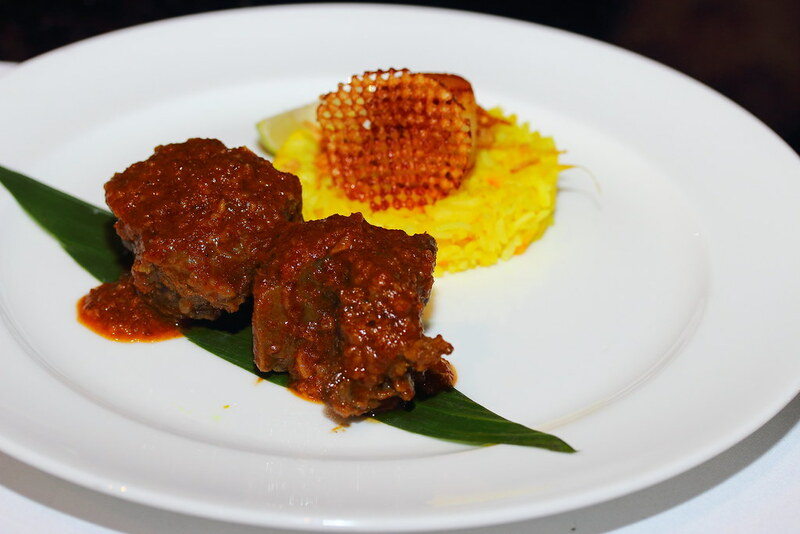 The Wagyu Beef Cheek Rendang is next, served with saffron & lemongrass infused jasmine rice and vanilla poached petit brastagi potatoes. My favourite has to be the melted in the mouth wagyu beef cheek that is cooked for hours and dressed in a coat of aromatic rendang spices. The last main on the menu is the Crispy Spiced Duck Confit. 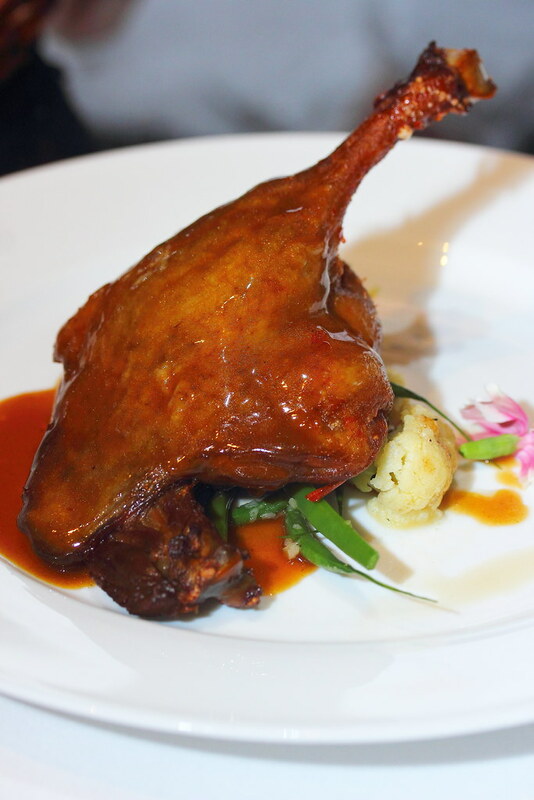 The pan seared Balinese spiced duck leg served with natural reduction and puree of sambal terasi. While I enjoyed the fork tender texture of the duck, I thought the skin lacked the crispiness I was expecting. I like the idea of the modern re-interpretation of the classic chendol. 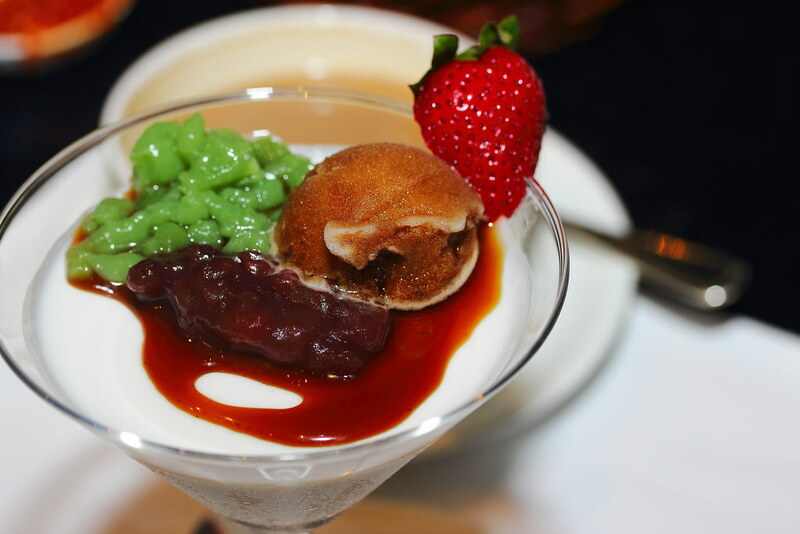 The Chendol Panna Cotta ia a refined execution that brought out the characteristics of the traditional dessert but lacked the sweetness and icy shiokness of it. Lastly, the Banana Tempura served with sri kaya sauce and coconut ice cream. 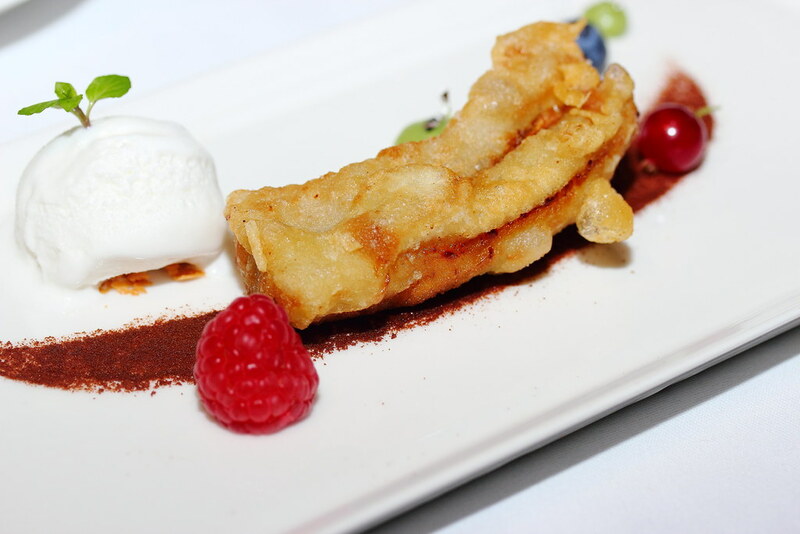 The warm banana fritter and cold coconut ice cream make a novel combination of sensory delights. Citi Cardmembers and SPG members enjoy 15% off the above menus. Diners can even stand a chance to win a trip to Indonesia and other attract prizes when you dine at The Dining Room from 15 to 21 August 2016.